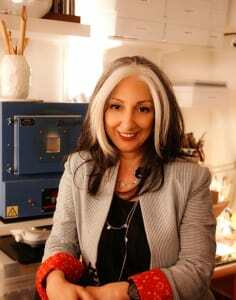 Award-winner Sima Vaziry’s work has been recognised by the British Museum for whom she has created several commercial jewellery collections and her jewellery is part of the core range at the British Museum luxury shop. Sima came into jewellery making as a second career from a graphic design background, after re-training, she launched her own business. It wasn’t long before her work was picked up by the British Museum and her first collection for them became one of their most popular and best selling ranges. To date, Sima has designed four collections for the British Museum, and has also received enquiries from the Louvre in Paris. Her award winning piece was used on the cover of a new book, “Silversmithing for Jewelry Makers”. Her success has been recognised in the form of press, TV and radio appearances including Sky TV and BBC Persia as well as BBC London radio. 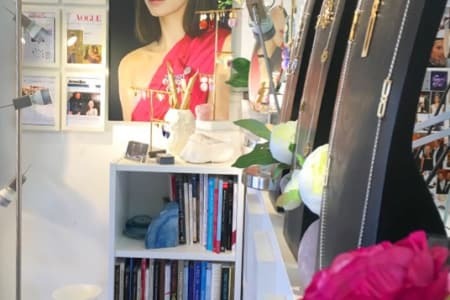 Her jewellery designs and personal story have been featured in “Woman & Home”, “Tatler” online and in all the main trade magazines. Sima works from her shop at the OXO Tower, where she continues to make her collections, create bespoke items for private clients and supply the British Museum. She also passes on her knowledge through teaching and delivering talks in and around London.